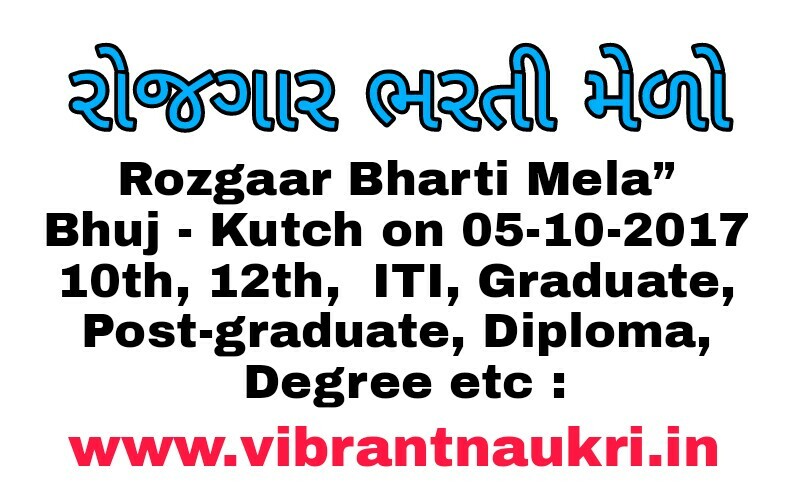 “Rozgaar Bharti Mela” Bhuj - Kutch on 05-10-2017 | 10th, 12th, ITI, Graduate, Post-graduate, Diploma, Degree etc : District Employment Exchange Bhuj - Kutch has published Recruitment notifications of Rozgaar Bharti Mela for below mentioned posts. More information please read below mention officially notifications carefully. Venue: Engineering College, Navi Raval Wadi, Besides Umiyanagar, Bhuj. Kutch.